Rent, direct-deposited in your account. Financials with one click. The good life. Rent just shows up in your bank account. That’s it. It’s quick, it’s simple: after a same-day approval where you register your banking and business information, you can start collecting rent payments online. Total transfer time is only 2-3 days – the renter submits payment, and it appears in your bank account. Faster than waiting for snail mail, depositing the check at the bank, waiting for it to clear, and all the other headaches that come with paper checks. You can even track payments in transit, in real time! Rent is deposited right into your bank account. Which is awesome. But just as great is the fact that our online landlord app automatically tracks all rent payments in your online ledger. With a click of a button, you can generate income and expense reports, Schedule E tax reporting, and more. Your renters can choose to pay by ACH (bank transfer/eCheck), by credit card, or by debit card. Why would anyone want to write out paper checks, mail envelopes, and balance an old-school checkbook, when they can click a button to pay electronically? Your renters can even set up automated recurring rent payments! As a free member, you can still take advantage of our online rent collection service! We don’t mess around when it comes to digital security. Between our partnership with ThreatMatrix to utilize their powerful, proprietary security, our Level 1 PCI Compliance, and our 100% SSL-secured website, we’ve got you covered where it counts: your money’s security. Oh, and did we mention that your renters never, ever see your banking details? For that matter, neither do we: it’s all handled securely by our partner bank. Glad you asked! It’s actually pretty quick and easy. You just upload a few documents and fill out a form, and our banking partner processes your account in 24-48 hours. Then you’re all set, and can sit back to watch the rents flow into your bank account! Ever wish you could report your tenants’ rent payments to the credit bureaus every month? Soon you’ll be able to. We’ll report every on-time payment to help your renters build their credit. And we’ll report every late payment too, to incentivize them to pay on time! Pricing – How Much Does It Cost? Psst: Select annual billing for up to 36% off! Does upgrading to the paid subscription require a contract? Absolutely not. We want to earn your business every day. You can upgrade to a Spark Rental subscription and cancel the next day if you choose. That’s your choice. Your long-term success as a landlord is our goal! What is the first step to start receiving online rent payments? First, you will apply for a Spark Rental merchant account. It is very easy and pretty quick as well. Is my information safe with Spark Rental? Spark Rental is safe and secure. Our tenant screening partner is required to meet stringent security standards. Because they have exceeded these security standards, the same tight security is passed onto you, our customer. Additionally, our partner is a PCI-DSS compliant and SAS 70 Type II Certified processor who has a data center located in Houston, TX and has been certified by an independent auditor to be SAS 70 Type II compliant. Well, what that all means is your data is as safe and secure as it gets! What's the application process like for my renter? 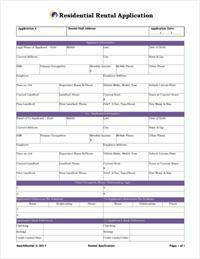 Inviting an applicant to fill out an electronic rental application is your first step. Many landlords ask what information will be collected from an applicant. An applicant’s rental application consists of Personal Information, Contact Information, Address History, Employers, Other Income, Assets, Liabilities, Questionnaire, References, Pets/Vehicles/Occupants, Documents, Authorization, and Electronic Signature. What is the tenant portal and what features are available? After inviting a tenant to the Tenant Portal, they will see an option to “Make a Payment”. If you have activated online rent collection, you have the ability to collect rent electronically from your tenants. You must also activate Online Rent Collection before a tenant is able to make E-Payments. Online Rent Collection is only available to Premium and Ultimate subscribers of Spark Rental. With the Tenant Portal, an electronic statement outlining the lease terms, payment terms, and other relevant information are available to the tenant each month. New charges are added to the electronic Statement monthly for Rent Due and Outstanding Balances. Your tenants are automatically kept informed of what they owe. After you enable Online Rent Collection, your tenant has the ability to setup individual payment accounts for making the monthly rent. Our mobile-friendly platform gives you the freedom to accept maintenance requests on your Smart Phone. Every landlord is on-the-go and it is sometimes easier to categorize maintenance requests and keep a running log by receiving them electronically. We make it easy for you to do so. Your tenants can submit maintenance requests directly from the Tenant Portal. Communicating with your tenants is more important than ever in the highly litigious business of being a landlord. E-mail is insecure and can be misinterpreted. To protect yourself legally while projecting a professional image, we offer a fully secure messaging system. You can communicate important information to your tenant through our system while resting assured that your communication is saved forever in our highly secure databases. If you ever find yourself in court about a tenant dispute, you can easily pull all communication from the messaging system. How do I use the accounting ledger feature? To add income to the ledger go to your home screen in the Landlord App, then click on “financials”. You will see a tab titled “Income & Expense Ledger”. You will have several choices on the left. Click on “Add Income”. TIP: Either use the “Add Income” or the “Rent Received” function to manually enter the collection of rent received to your income & expense ledger. The only difference between the two actions is that the “Rent Received” function automatically categorizes the income as rent to your ledger. The difference is that the “Add Income” feature permits you to choose what type of income (category).)”. When using Spark Rental Landlord App's automatic rent collection, will the rent be added to the ledger automatically? Abosultely! However, that is only a feature only available to our Premium and Ultimate subscribers. Can I invite my accountant to take a look or have access to the ledger? Spark Rental’s Landlord App makes it simple for small landlords to work jointly not only with co-owners but accountants. and bookkeepers as well. You can flag specific transactions for your accountant to review around tax time. This feature is only available by upgrading to our Ultimate subscription plan. 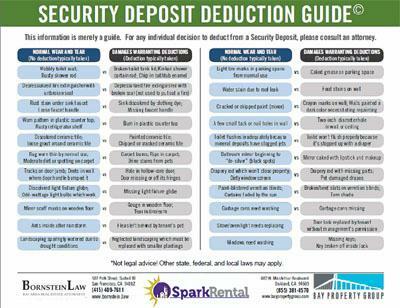 Not only do you get the free Security Deposit Cheat Sheet, but we'll also send you our free passive income mini-course. How's that sound? We hate spam too. So we won't do it to you. Seriously. Want a plan to retire in 5 years? We won't tell you it's easy... but we will tell you how to do it. Evictions are ROI-killers! We'll show you how to whip your renters into shape and prevent future evictions. Not only do you get our free rental application, but we'll also send you our free passive income mini-course. How's that sound? 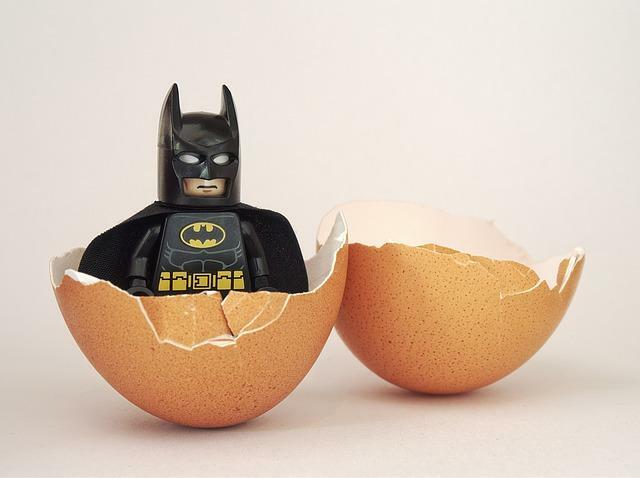 Ready to Build Passive Income? We'll email you the course videos over the next week, so enter your best email! You're in! Check your email to confirm.